thinkdzine is a team of talented designers who are passionate about creating inspired kitchen, bathroom and living space designs that improve the quality of people's lives. Based in Sydney, Australia, each designer on the thinkdzine team brings around two decades of specialist experience to every design project. With complementary skills and a focus on quality, we are renowned for designing beautiful and highly functional kitchens, bathrooms and living spaces that feature the best and most innovative ideas and products from around the world. Take your kitchen design, bathroom design or interior design to the next level. We’re known for coming up with ideas that significantly boost the visual appeal and usability of your space. We know what questions to ask to uncover great ideas you may not have thought of yourself. We also explore the latest trends in kitchens, bathrooms and interiors, and our designs incorporate a variety of smart and well-considered features. It’s our belief that when you live with great design, it’s instantly relaxing: it’s great to look at and a constant pleasure to use. To us, that’s simply good thinking. Design solutions for kitchens, bathrooms, ensuites, laundries and interior spaces. Projects undertaken New Zealand wide. We don’t just design, we create amazing individual results, just for you and your lifestyle. We look at your project through the eyes of an award winning international kitchen & bathroom expert designer. We use our experience to advise you about the possibilities to totally transform your space. Quality design never dates – it benefits from the foundations of a functional and efficient layout. We are members of the finest professionals in the kitchen & bathroom industry. With over 25 years experience, Magno Kitchens have been providing Sydney homes with exceptional kitchens and quality cabinetry. We are inspired and motivated by impeccable design that boasts longevity and timeless style. Along with great service and customer satisfaction, we pride ourselves on quality, innovation, creativity and craftsmanship. The team at Magno kitchens are committed to delivering a personalised experience, from concept to completion. Our design team will work closely with you to create a kitchen that reflects your lifestyle. At the forefront of trend and technology, we are constantly discovering new ways to provide our clients with the latest technologies and most up to date styles. We present and deliver a variety of solutions to make your dream kitchen a reality. With Magno Kitchens, all of our products are custom made and manufactured in our factory located in Sydney. We find the perfect solution for each individual client, no matter the space or budget. We can also alleviate the hassle by coordinating our recommended tradespeople to provide you with a complete package of services such as electrical, plumbing and tiling work. 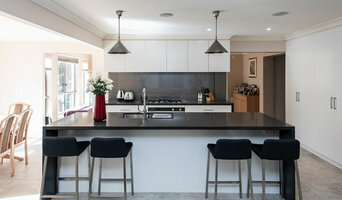 Degabriele Kitchens is a family business with over thirty years experience in the Sydney custom built kitchen market. "We are the market leaders who have established this position through innovation, unparalleled quality, attention to detail and exceptional and friendly service." (Sam Degabriele – Managing Director of 30 years) Degabriele Kitchens are regarded by the market as the benchmark by which all other kitchen manufacturers and retailers are compared. "At Degabriele Kitchens, we operate to a philosophy focused on professionalism and customer service. When you entrust us with your project, you will quickly discover the benefits of working with an organisation focused on this simple philosophy". We welcome you to visit one of our showrooms today to experience the latest trends in kitchen design, whether it be modern kitchens, traditional kitchens or something in between, all are custom kitchens at Degabriele’s. 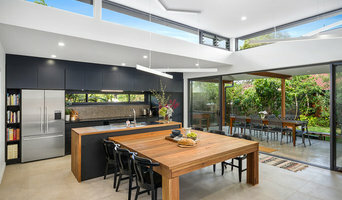 There are many types of kitchen professionals in Bondi, New South Wales – from cabinet makers, to carpenters and interior designers – and many trade professionals offer a full suite of expertise. Depending on the size of your kitchen renovation, and the kitchen designer, they may also hire contractors on your behalf and manage the project from beginning to end. Here are some related professionals and vendors to complement the work of kitchen & bathroom designers: Kitchen & Bathroom Fixtures, Appliances, Tile, Stone & Benchtops, Joinery and Cabinet Makers, Carpenters. 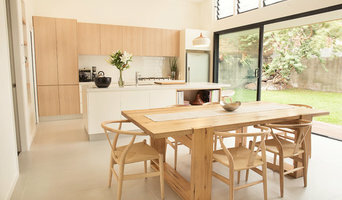 Find a Bondi, New South Wales kitchen designer on Houzz. 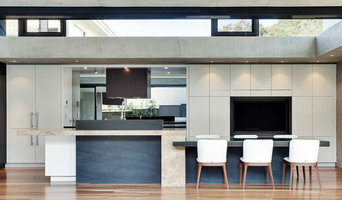 Browse the Professional section on Houzz to find kitchen designers in Bondi, New South Wales. Then, scroll through photos of their latest kitchen renovations and see how their work compares to the scope of your project. You can read reviews to see how other homeowners rate their work, and message them directly to to ask any specific questions.